Former SBU operative Ihor Ustymenko, who was identified by investigative journalists as a man who lurked not far from the house of assassinated journalist Pavel Sheremet on the eve of his murder, has been summoned to the National Police for an interrogation, the police press service told UNIAN. "Indeed, he [Ustymenko] today reported to the investigator’s office to give explanations in accordance with the norms of the Criminal Procedural Code of Ukraine. Investigative actions are under way," the press service said. As UNIAN reported earlier, on May 14, Ukrainian President Petro Poroshenko said that in the case of the murder of journalist Pavel Sheremet, a former employee of the SBU Mr Ustymenko would be summoned for questioning May 15. Read alsoUkraine spy agency 'may have seen planting of bomb that killed journalist' – media (Video)On May 10, the team of investigative journalists from OCCRP and Slidstvo.Info published their own investigation, claiming that an acting or former employee of the SBU Security Service of Ukraine named Ihor Ustymenko was captured on CCTV cameras the night before the murder of Sheremet near his house in the center of Kyiv. SBU press secretary Olena Gitlianska said in a statement that Mr. Ustymenko had been dismissed from service April 29, 2014. Chairman of the Security Service of Ukraine Vasyl Hrytsak stated that Ustymenko had not been on any mission near Sheremet's house on the night before the journalist’s murder, adding that the man was dismissed due to health issues and that the Agency did not trace his after-service history as there was no need for such action. 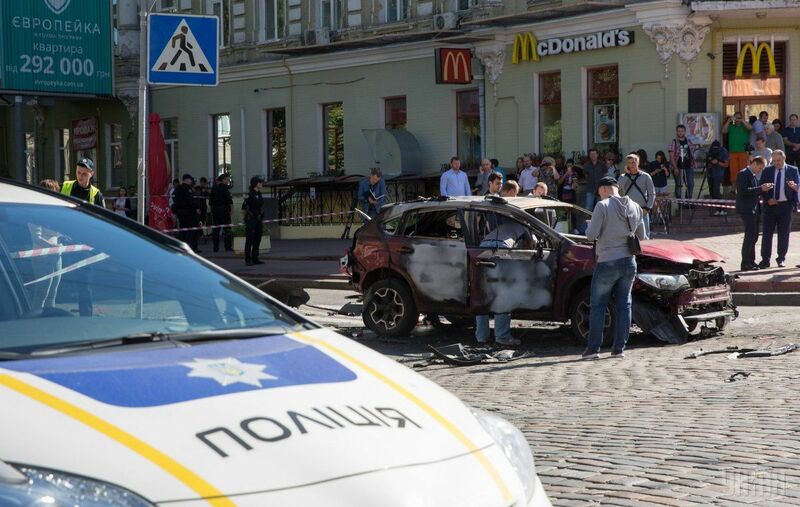 Pavel Sheremet was blown up in a car downtown Kyiv on the morning of July 20, 2016. Prosecutor General Yuriy Lutsenko called the main version of the journalist’s murder a revenge for his professional activities. Interior Minister Arsen Avakov did not rule out the version that it could be Russian authorities behind the assassination. In February 2017, the police said that as part of the investigation into the murder of Sheremet, more than 1,800 people had been questioned. It was also reported that for the time being, there were no suspects in the case.